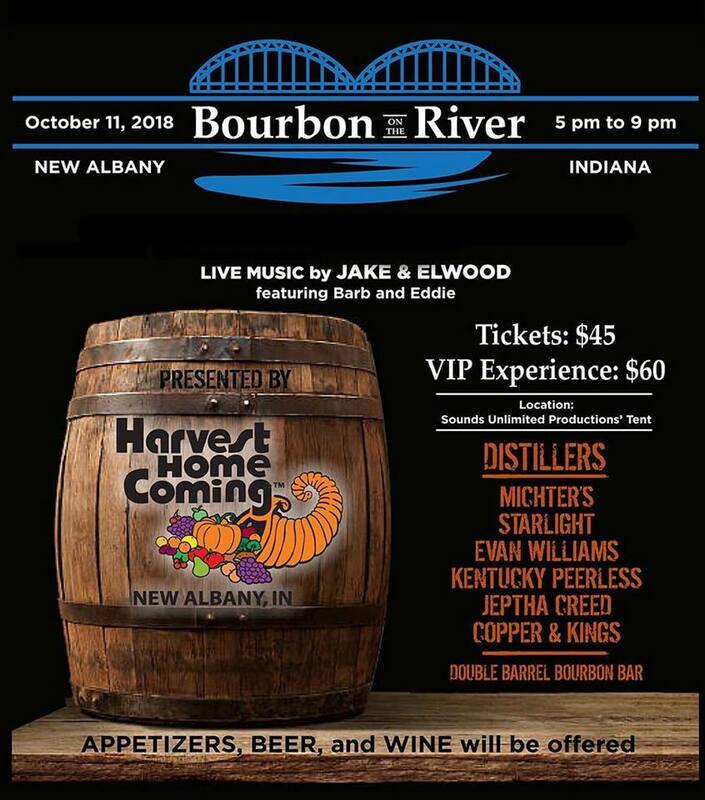 Join Huber’s Starlight Distillery at the Harvest Homecoming Bourbon on the River event! Propelled by local bourbon brands’ successes we invite all Harvest Homecoming guests to come and enjoy a new and exciting experience. Bourbon & wine tastings available. Food provided by Sam’s Food & Spirits. Cigars and craft beer offered for purchase. Live entertainment by Jake & Elwood featuring Barb and Eddie. Sponsored by The Office Cigar Lounge, Starlight Distillery, and Sam’s Food and Spirits.